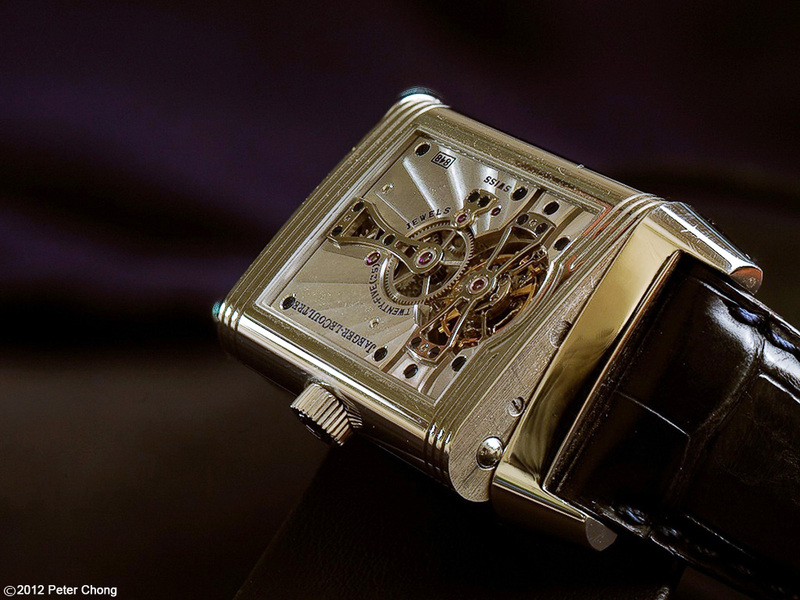 Back to regular programming...today's post is on my personal watch...the Jaeger LeCoultre Platinum 2. A stealthy watch, if there ever was one. 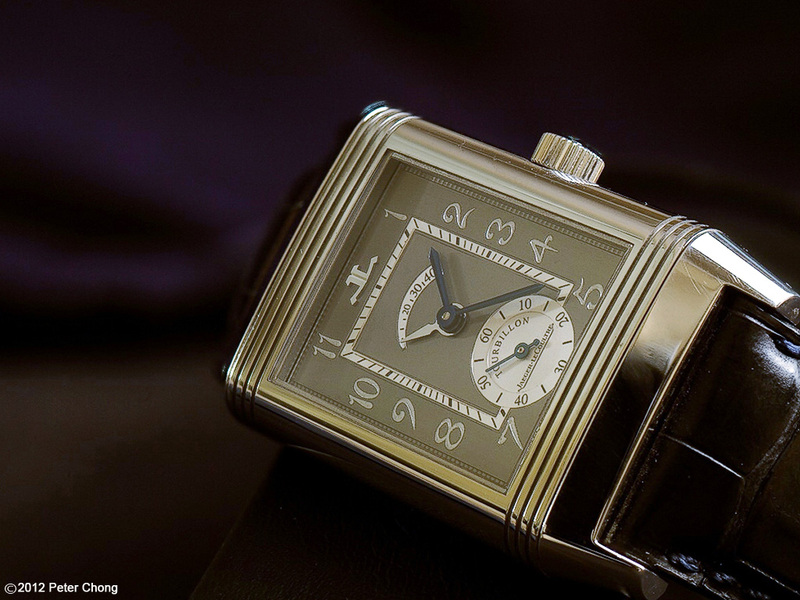 To the unintiated, this watch looks like a regular Reverso, with a beautiful grey dial, and power reserve. 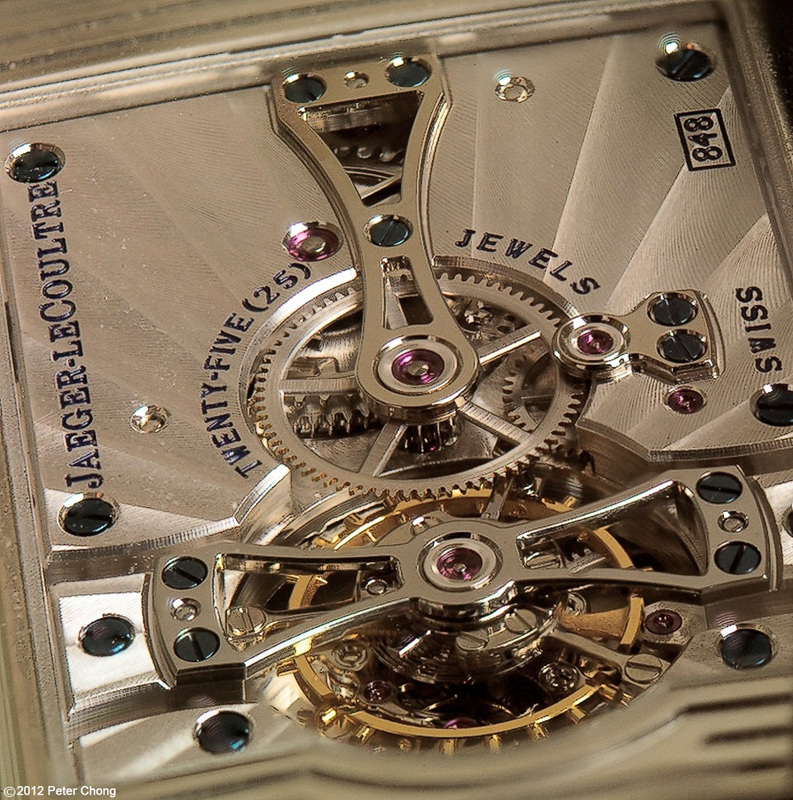 To the knowledgable, this is a sample of 500 piece limited edition, the movement is made entirely out of white gold, and is complete with a tourbillon regulator. 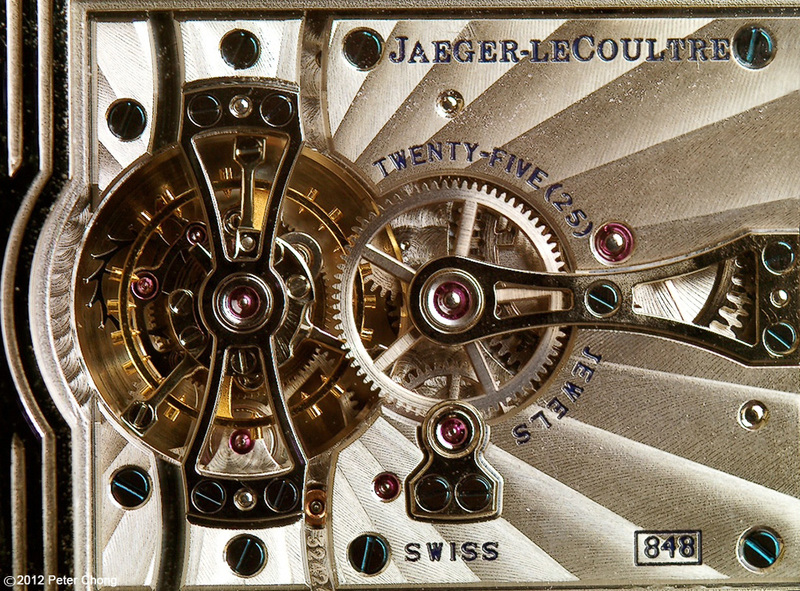 As the name suggests, the case is made of platinum, including the deployant buckle and I think also the crown. 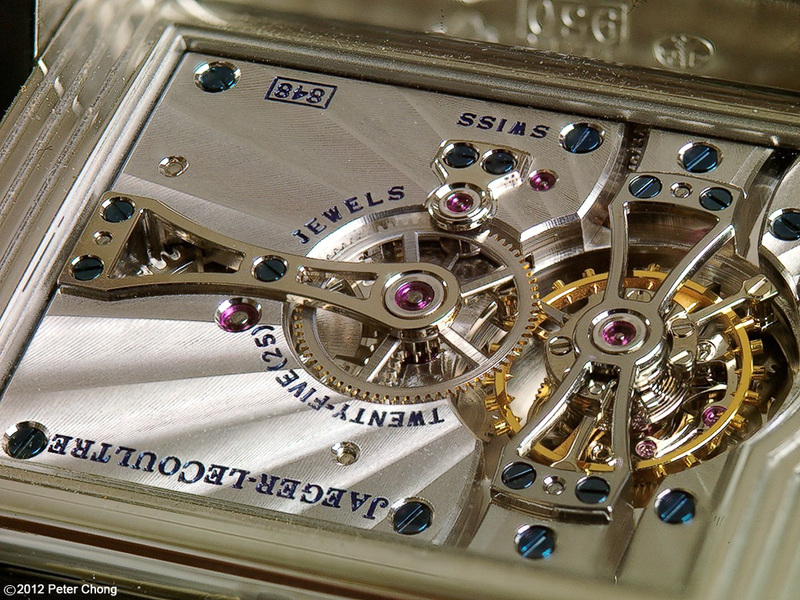 And as one flips the reverso case over, the movement is magnificent. Most excellently finished, and very beautifully laid out. As this is my personal watch, I wear it frequently, and I thought it would be more authentic not to subject the watch to micro-cleaning before the shoot. Thus the dust and slightly worn look of the watch. 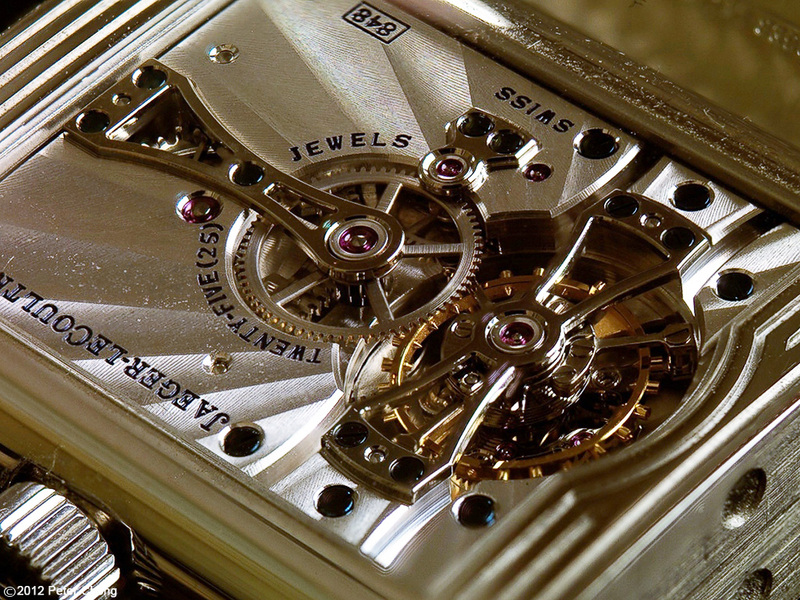 I also intentionally did not fully balance the colour of the movement, allowing the watch to show its personality, as it does in real life...the watch movement, as it is white gold within a platinum case within anti-reflective glass can sometimes variously show a different hue depending on lighting and angle one views the watch.